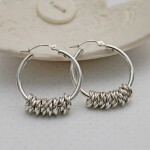 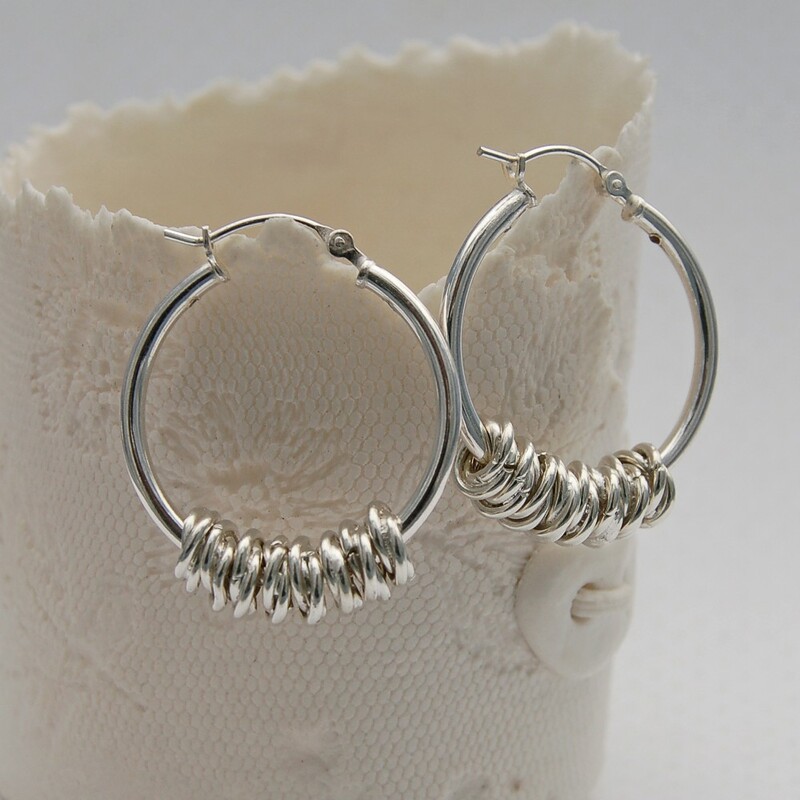 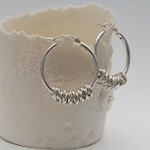 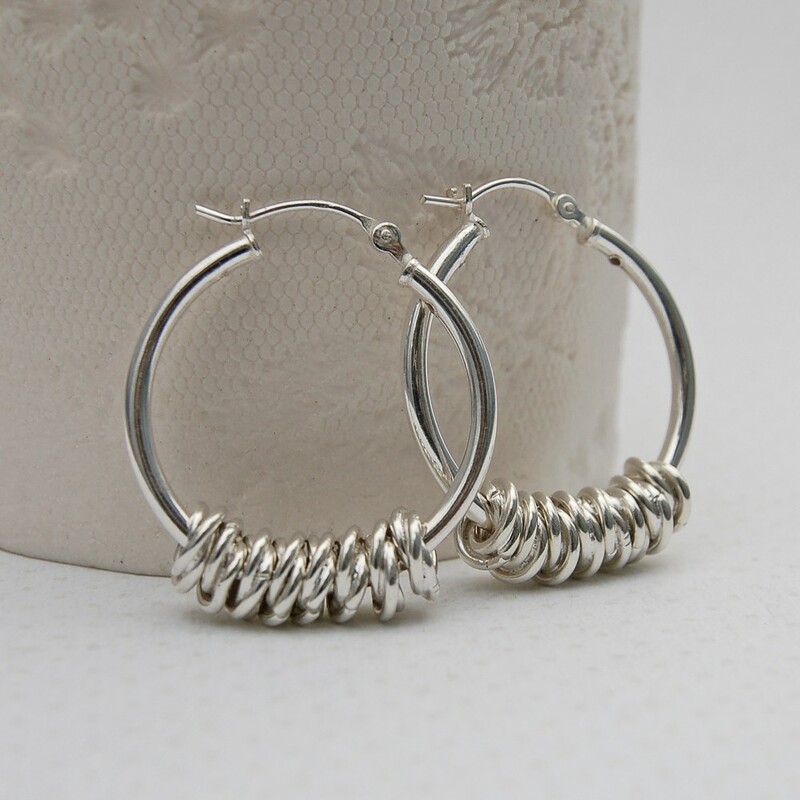 Eight double twisted silver rings hang from sterling silver hoops to create a pair of simple but very stylish earrings. Great every day earrings that are easy to wear and look very striking with lots of movement from the twisted rings. 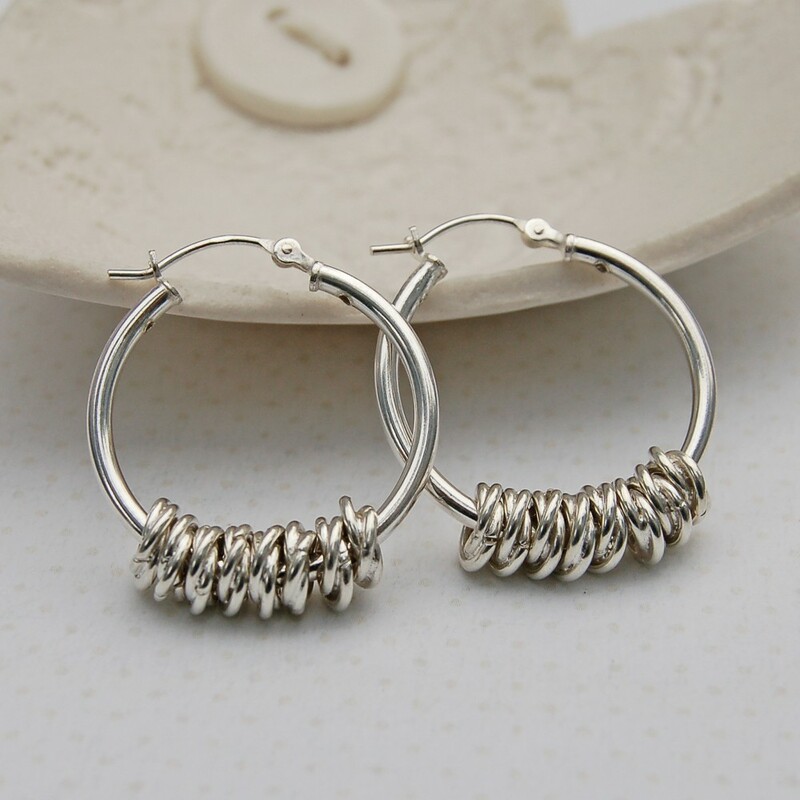 These earrings will be handmade in the UK especially for you and beautifully wrapped in tissue paper and packaged in an IndiviJewels gift bag. All components of these earrings are sterling silver. 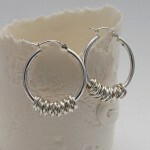 The hoops measure 25mm in diameter and the silver rings are approximately 6mm in diameter and 3mm thick.